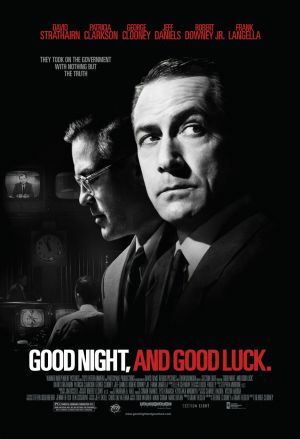 In George Clooney’s “Good Night, and Good Luck .” (what’s with the improper comma? 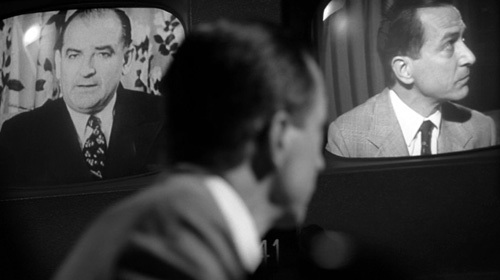 ), David Strathairn plays legendary journalist Edward R. Murrow during his 1950s crusade against the communist-obsessed, witch-hunting US Senator Joseph McCarthy, played by... himself, via the miracle of archival footage, editing and digital technology. It’s not the first time a deceased figure has been plopped into a new setting, and we are POSITIVE it shall not be the last. Perhaps it’s Ed Wood’s greatest legacy. When Bela Lugosi died during production of the 1959 anti-classic “Plan 9 from Outer Space ,” director Wood used miscellaneous footage of the former Dracula (along with a very unconvincing replacement actor) to fill in the blanks. Wood was prescient in being undeterred by the death of his star, he just didn’t possess the technology to integrate Lugosi with his surviving co-stars (but imagine the results if he had!). Carl Reiner’s “Dead Men Don’t Wear Plaid ” (1982) starred Steve Martin in a comedic homage to classic detective film noir. The movie intercut scenes from old movies like “The Killers ,” “The Big Sleep ” and “Double Indemnity ” with new black and white material so that Martin starred alongside screen legends Humphrey Bogart, James Cagney, Ingrid Bergman and many more. But the visual tricks used were basically the same blue screen or reverse-shot stand-in methods used by Hollywood since the dawn of the medium. Martin never fully steps into the old films. The first film that seamlessly melded actors into archival footage was Woody Allen’s 1983 mockumentary, “Zelig ,” which told the tale of a neurotic man (Allen, duh) with chameleonic powers who finds himself smack in the midst of historical events through the 20th century. The movie placed Zelig alongside such figures as F. Scott Fitzgerald, William Randolph Hearst, Al Capone, Lou Gehrig, Josephine Baker and, in the film’s funniest and most surreal moment, Adolf Hitler. Such visual trickery is a walk in the park for today’s digital FX folks, but 22 years ago, it was staggering. It would be another eleven years until CGI took mingling with archival footage to the next level, in Robert Zemeckis’ “Forrest Gump .” In the 1994 film, the chocolate box philosopher (Tom Hanks) rubs elbows (and buttocks) with presidents JFK, Lyndon Johnson and Richard Nixon, among other real life luminaries. Recent years have seen an increasing number of performances from beyond the grave on the big and small screen: Oliver Reed died during filming of 2000’s “Gladiator ,” but digitally fulfilled his contract; Sir Laurence Olivier posthumously played the villainous Dr. Totenkopf in 2004’s “Sky Captain and the World of Tomorrow .” Fran Drescher’s “The Nanny ” met Lucille Ball. And who can forget the creepy final performance of Nancy Marchand’s head in the “Proshai, Livushka” episode from “The Sopranos ”’ third season? 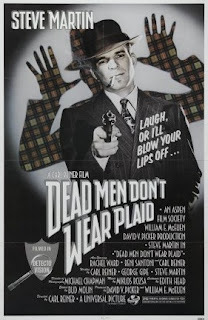 The dead live in other media as well: In 1991, a Diet Coke ad had Elton John tinkling (the ivories) with trumpet accompaniment from Louis Armstrong at a party attended by Humphrey Bogart, James Cagney and Christie Brinkley (one of these things is not like the other). Madison Avenue, always a bandwagon jumper, followed up with more dead celebrities hawking stuff: Fred Astaire danced with a Dirt Devil; John Wayne shilled for Coors Light; Picasso pitched BMW. Meanwhile, music videos showed both Natalie Cole and Hank Williams Jr. dueting with their departed dads. In 2003, Frank Sinatra, gone since 1998, played 14 sold out shows at Radio City Music Hall. A huge rotoscoped digital ol’ Blue Eyes loomed over a live orchestra as he sang the great American songbook. Hey, at least the drummer didn’t have to worry about Frank threatening to punch his lights out if he went off-tempo! Clooney claims that he used existing film of McCarthy in “Good Night, and Good Luck” because he couldn’t find anyone who captured the paranoid Senator’s angry, sweaty neurosis just right (or maybe he thought audiences would think it was overacting). And he’s got a point. Some historical figures are so ingrained in our collective consciousness that no thespian, regardless of talent, can ever truly make us believe in them (Philip Seymour Hoffman excepting the rule as “Capote ”). No actor tackling the thankless role of Adolf Hitler could ever come close to capturing that pure personification of evil. And has there ever been an onscreen portrayal of Elvis Presley that didn’t seem like an impersonation straight off a Las Vegas stage? But when it comes to fictional characters, even iconic ones, isn’t the use of filmed performances from the past a threat to today’s working actors? How far will it go? It’s one thing to use old cutting-room-floor footage of Marlon Brando as Jor-El to bring him back to the Fortress of Solitude in a cameo for next year’s “Superman Returns ,” but what if someone wants to create an entirely digital Brando to star in “The Wild One Goes Wild (Miami Beach)” or “The Godfather Part IV?” What happens when the digitally morphed actors want bigger billing? It’s a Pandora’s Box that Hollywood can’t close and no doubt some struggling actors are worrying that the day is fast approaching when they’re going to have to compete not only with Cameron Diaz and Orlando Bloom, but Marilyn Monroe and Cary Grant as well. They’d better hold onto those bartending jobs.